Long lasting, durable constructions and performance materials matched with styles that meets individual style. Our inspiration comes from the riders who see the full potential of the mountains from windlips, cornices, berms and transitions whether they are weekend chargers, lifelong riders to professional athletes. Dakine outerwear is built with a high level of performance, features and function with an overall focus on offering designs, colors and prints that allow the expression of individual style. 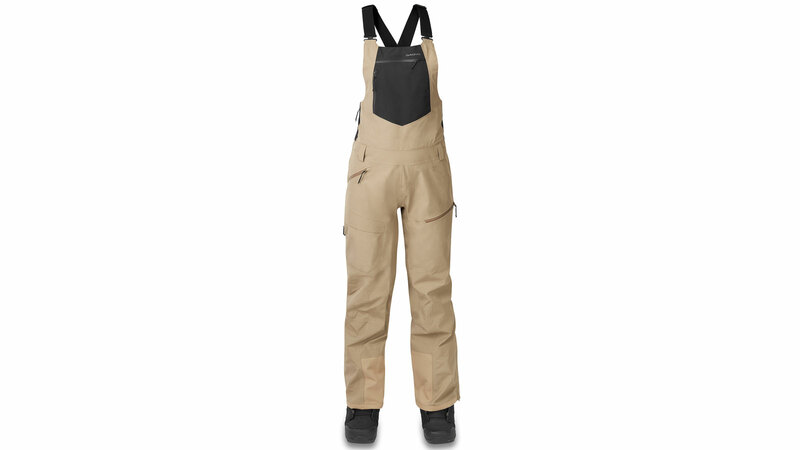 Dakine’s top selling, tried and true women’s bibs built for the best in protection gets updated with more sustain­able materials and finishes and backed with the “GORE-TEX GUARANTEED TO KEEP YOU DRY” promise. Product description: We redesigned the women’s Beretta 3L jacket with enhanced function like an exposed chest pocket with audio routing to stash media while you ride, stretch wrist gaiters for additional warmth and protection and a slightly longer cut in the back for added coverage. Sustainable materials and finishes complete the update with a solution dyed, 100% recycled polyester tricot backer and a PFCec Free DWR finish. Product description: Coming off the success with our top selling 3L bib, we redesigned the women’s Beretta 3L bib with enhanced fit and function. We dove deep into customer reviews, athlete and elite ski patrol inputs and many hours of internal team testing. The fit has been updated with more room in the hips and thighs to accommodate under layers and insulators as well as a broader variety of shapes and sized riders in search for a high performing bib. We also added stretch side panels for a little extra room to expand when you need it. The Halfmoon drop seat improves accessibility for bathroom breaks in the backcountry. 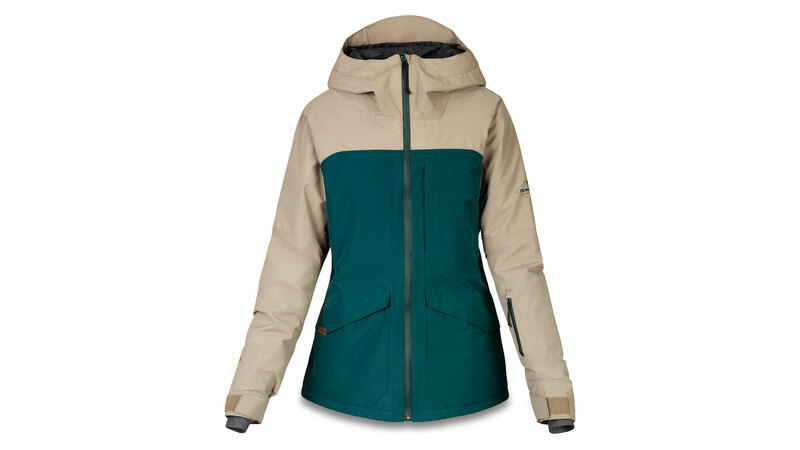 Product description: A warm and cozy jacket on the inside with a performance backed outer GORE-TEX 2L shell construction. Insulated with PrimaLoftâBlack Eco 100% recycled polyester fil and a diamond quilted lining to retain warmth. Wrist gaiters complete the heat seal while the drop tail fit provides additional coverage at your back when the days on snow get extra cold. As distribution is rapidely evolving towards omnichannel, the pure online vs. instore split will soon be outdated… We carry a targeted outerwear distribution strategy with a limited number of accounts making sure we can fully support them. Selling through our own channels or through strategic partnership with key dealers allow us to offer a full range representation to the end consumer. Our integrated 360° go to market approach allows us to reach consumers in multiple ways, wether through advertising, print, social channels, prefered presence at retail (brand spaces, shop in shop), brand ambassadors or influencers. We continue to offer a variety of fits in tops and bottoms to fulfill user needs for layering and personal style preference. Our Standard Fit jackets and pants reflect a relaxed fit with room to layer while our Tailored fit is closer to the body for styles with enhanced articulation and a move-with-you type of build. Our Tailored fit jackets come in both regular length and Long, when our women riders are looking for additional warmth on the chairlift ride up. Prints still play a role in outerwear shells and linings through classic favorites like our new “Tempest” that provides a more timeless camo look that pairs well with a variety of solid colors. Snow customers spend a lot on their outerwear and we want it to last stylistically and functionally for years to come. We pop the interior with our “Botanics” floral print that is found in taffeta linings as well as merchandising back to our lightweight baselayer top and bottoms. Overall our color palette gets punched up a bit from previous seasons yet balance on color blocked styles. Sustainable materials that do not sacrifice on performance and durability is a big focus in outerwear and apparel. 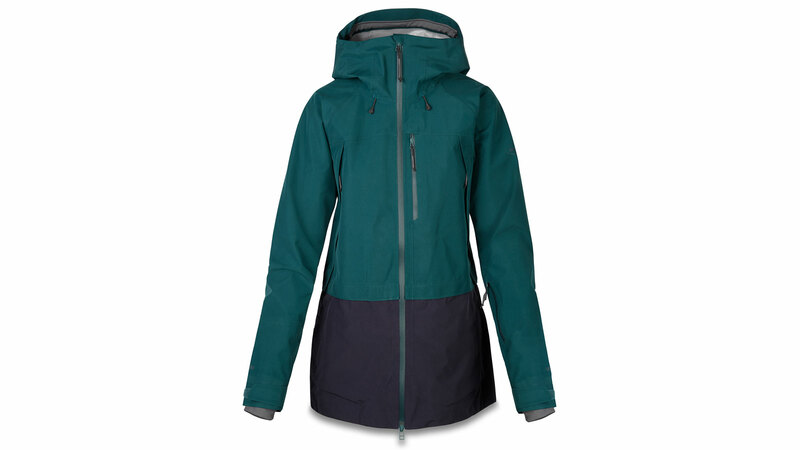 Dakine’s tried and true women’s Beretta 3L GORE-TEX jacket and bibs have been updated with bluesignâapproved materials, a solution dyed, 100% recycled polyester tricot backer and a PFCec Free DWR finish. Our marketing focus will be on the Beretta 3L jacket and bib redesign as well as the Tilly Jane jacket. Each style will be featured on our core women athletes as well as tested in their elements with a select group of professionals who continue to push the barriers of our sport on the mountain or within the industry. Our baselayer program is divided up into 3 tiers of warmth and weight including heavy, mid and light weight tops and bottoms. Each tier features moisture wicking, bluesign approvedâfabrics with a Polygieneâodor control technology finish for maximum number of uses before needing a wash. Our heavy weight layer features storm ready hoods and collars for added protection from wind and snow, while mid weight layers feature a heathered brushed fleece fabric that looks as good as it feels. Light weight layers provide more graphic and color options for the customers looking for a more progressive look.